Our relaxing foot treatment is a great add on to any service at Zama. 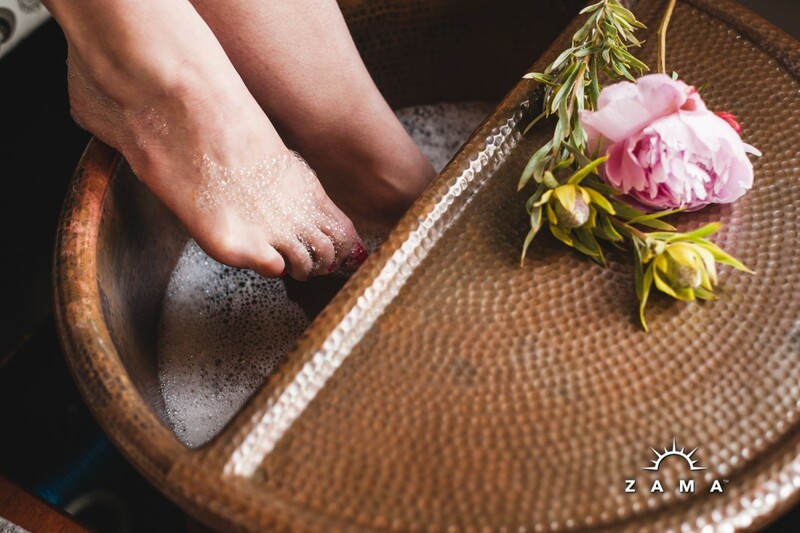 The Organic Soothing Foot Treatment at Zama begins with a cup of hot tea and a relaxing foot soak, treated with essential oils to enhance mood, clarify the mind and rel ieve tension. 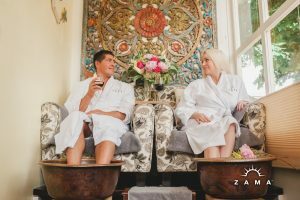 A eucalpytus peppermint muscle scrub exfoliates the feet and lower legs, followed by a stimulating foot massage with Zama’s own peppermint grapefruit healing cream. If you are looking for a little extra attention for your feet and lower legs, this is the perfect service for you. 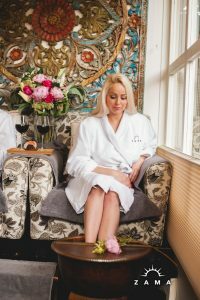 Bring a friend or loved one and enjoy quiet time together in our Garden Room with our couples organic soothing foot treatment. We use all organic products in our foot treatments. The San Francisco Salt Company provides our salts and scrubs and Zama’s Healing Cream is made only for us by Moxie Organix in Walla Walla, Wa.